Published in: Anagnostidis, K. (1989). Geitlerinema, a new genus of oscillatorialean cyanophytes. Plant Systematics and Evolution 164: 33-46, 4 figs, 1 table. Type locality: Carlsbad (Karlovy Vary), Czech Republic (Silva, Basson & Moe 1996: 59). Strunecky, O., Bohunická, M., Johansen, J.R., Capková, K., Raabová, L., Dvorák, P. & Komárek, J., (2017). A revision of the genus Geitlerinema and a description of the genus Anagnostidinema gen. nov. (Oscillatoriophycidae, Cyanobacteria). Fottea, Olomouc 17(1): 114-126, 4 figs. Carmo Bittencourt-Oliveira, M. do, Nascimento Moura, A. do, Oliveira, M.C. de & Massola Jr., N.S. (2009). 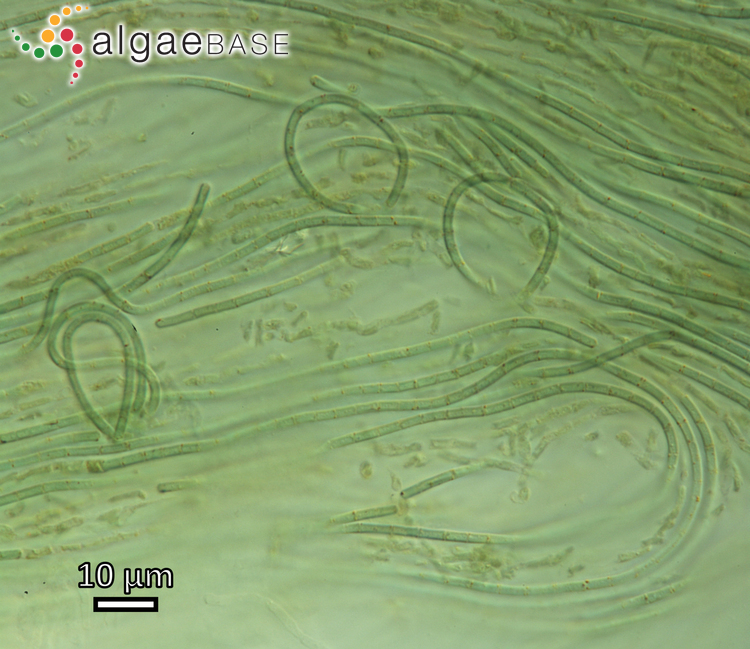 Geitlerinema species (Oscillatoriales, Cyanobacteri9a) revealed by cellular morphology, ultrastructure, and DNA sequencing. Journal of Phycology 45(3): 716-725, 8 figs, 2 tables. Kirkwood, A.E. & Henley, W.J. (2006). 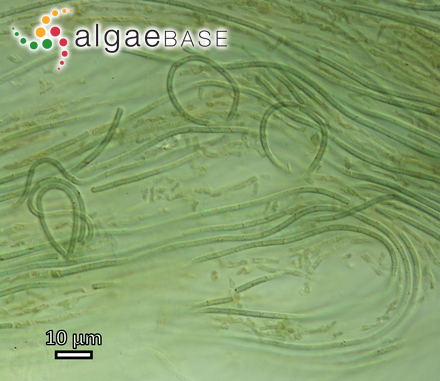 Algal community dynamics and halotolerance in a terrestrial, hypersaline environment. Journal of Phycology 42: 537-547. Accesses: This record has been accessed by users 2988 times since it was created.